With ever-growing technological advances, we are now able to easily reach anyone in the world instantly. 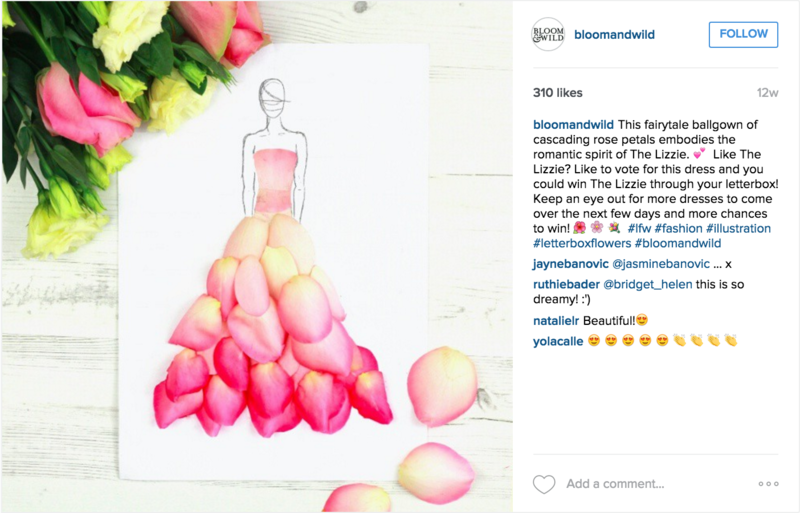 Under such influences, Instagram marketing campaigns have created powerfully lasting results. Last year, one of the most successful campaign is undoubtedly hosted by GoPro, which increased their average engagement on Instagram per post throughout the year of 2014 grew by 57%. 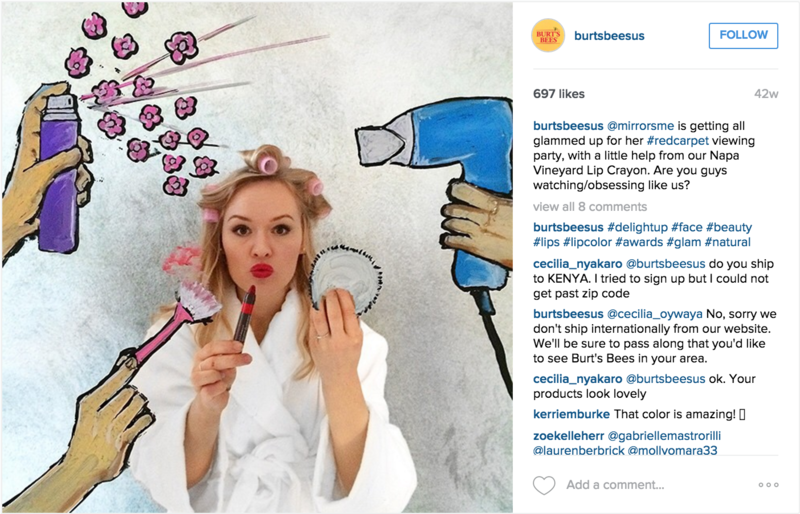 As we slowly approach the end of the year, we have compiled a list of the 10 best Instagram marketing campaigns of 2015. As one of the oldest French perfume houses in the world, Guerlain expanded its horizons, marching into the cosmetics industry in the late 19th century as the first company to manufacture lipstick. CAMPAIGN: #Terracotta de #GuerlainTerracotta is a legendary bronzing powder developed by Guerlain 30 years ago that is already very popular amongst the brand’s existing customers; however, Guerlain wished to reach a younger audience base through digital media. 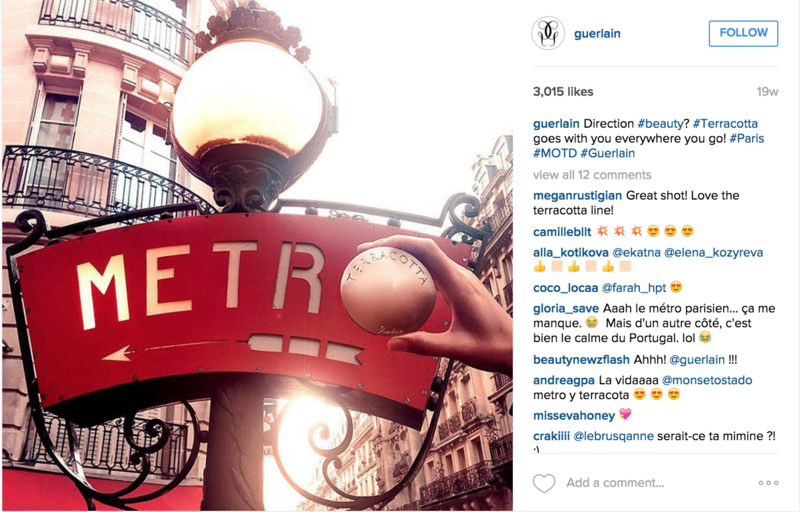 In collaboration with Mazarine and Performics, Guerlain established a 4-week Instagram photo campaign targeting women in France to bring forth the connection between Terracotta and Paris — both classy and elegant. RESULTS: From a Nielsen Brand Effect study, the photo campaign reached an overwhelming success. COMPANY: Bloom & Wild Just a small startup business in 2013, Bloom & Wild, a British letterbox flower delivery service has grown exponentially, reaching as much as £2.5m in growth capital. Aside from their innovative products, their innovative digital marketing strategies also set them apart from the rest of their competition in the industry. 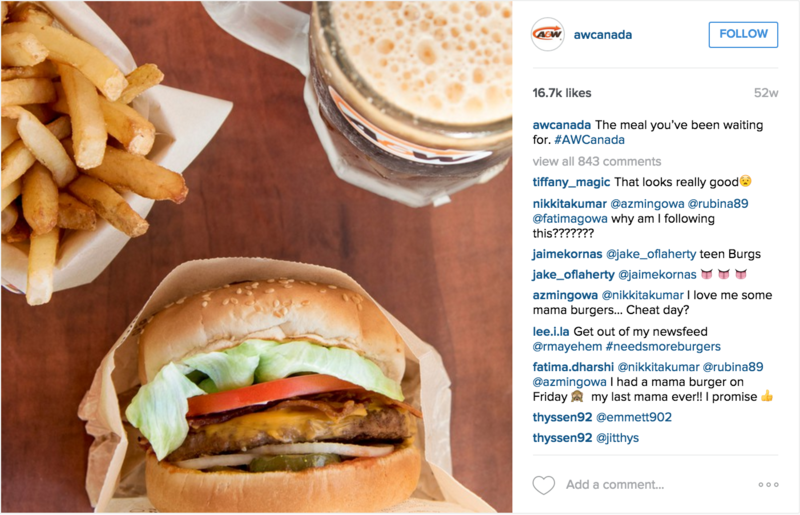 Canadian companies also have their share in Instagram marketing campaigns. Scotiabank,the third largest bank in Canada by deposits and market capitalization, tested waters on Instagram in hopes of raising awareness for their credit card program, especially to young students aged 18-22. 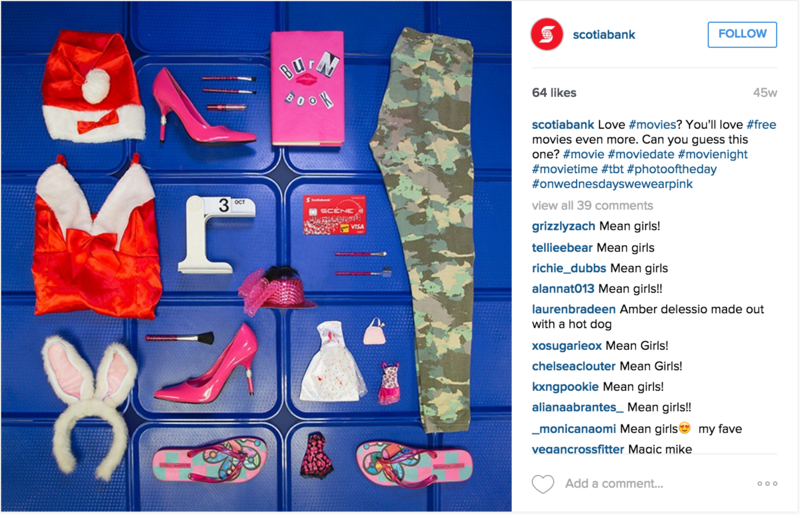 The #ThingsOrganizedNeatly campaign consisted of photos of various items in which Scotiabank would post on its Instagram account asking for everyone to participate in guessing which movies these items symbolized. 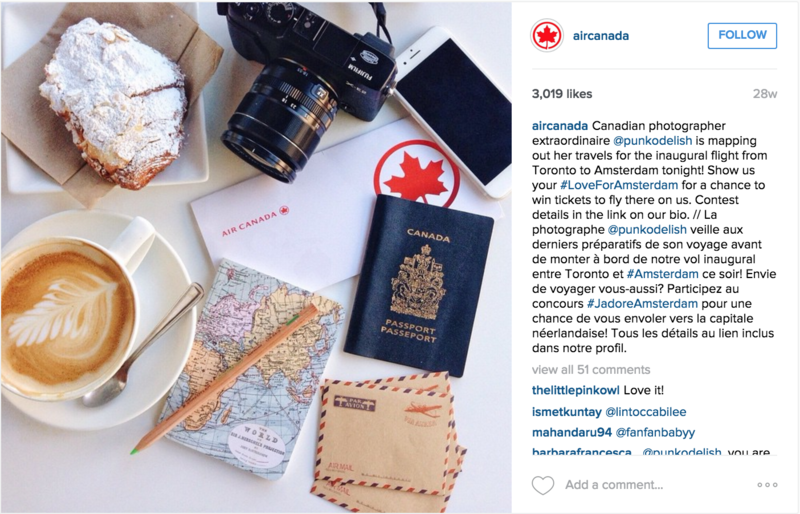 Air Canada,the flag carrier and largest airline of Canada, also stepped up their game, turning over to social media marketing for more exposure. To ensure their hard work pays off after much planning and organization for the addition of new destinations such as Panama and Rio de Janeiro, Air Canada wanted to generate more awareness. Thus, an Instagram photo campaign was designed; influencers, or social media celebrities, were hired to travel to each destination and post Instagram photos to promote local scenery and culture. 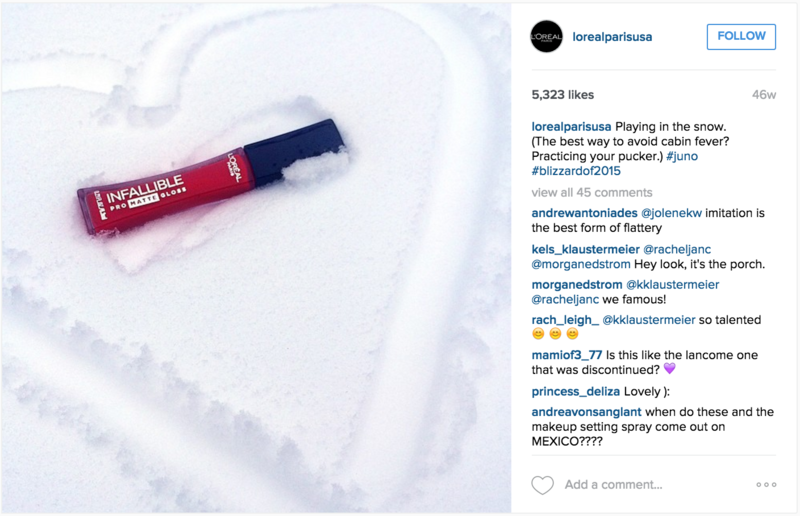 COMPANY: L’Oreal Paris What’s more romantic than a snowy, white winter? L’Oréal Paris, the world’s largest cosmetics company, started a winter-themed photo campaign using the contrast between bold, audacious colours and the pure, white snow. CAMPAIGN: Photos of models wearing the brand’s bright coloured cosmetics or just the products themselves were displayed on the company’s Instagram account for more brand awareness. Also looking for more brand recognition and to increase brand recommendations, Canadian Tire, a retail company which sells a wide range of automotive, sports and leisure, and home products, joined the world of Instagram marketing. Unlike the other companies that only invested in photo campaigns, Canadian Tire experimented with promotional videos on Instagram. 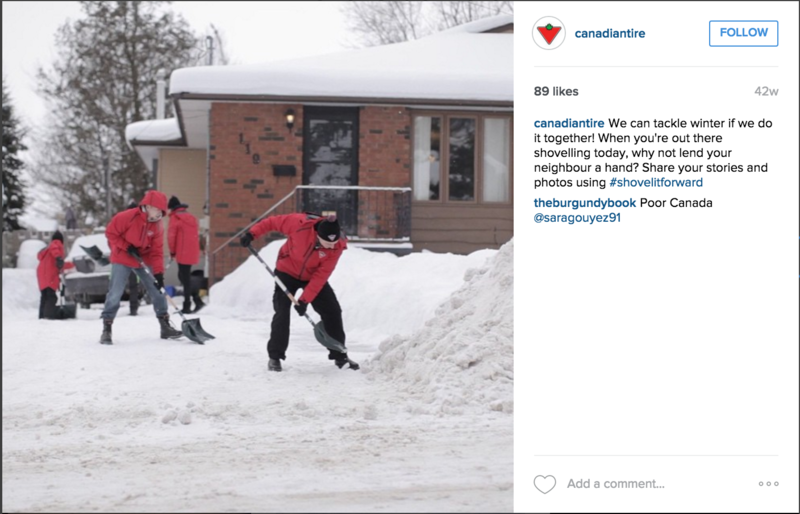 With the hashtag #ShovelitForward, Canadian Tire shared videos displaying the kindness of Canadians as neighbours help each other shovel snow out of driveways. CAMPAIGNS: To attract younger consumers who care more and more about healthy living and safe foods, a photo campaign on Instagram was launched emphasizing its choice of serving quality food with healthy ingredients. COMPANY: Poshmark Still relatively new, Poshmark— a small mobile and online marketplace for women’s fashion situated in Menlo Park, California—wants to increase app installs so as to expand its network of buyers and sellers. CAMPAIGN: Since Postmark has little influence as a brand, its campaign “borrows” the fame of luxurious brands and posted photos of high end products with captions enticing app downloads for discounts. 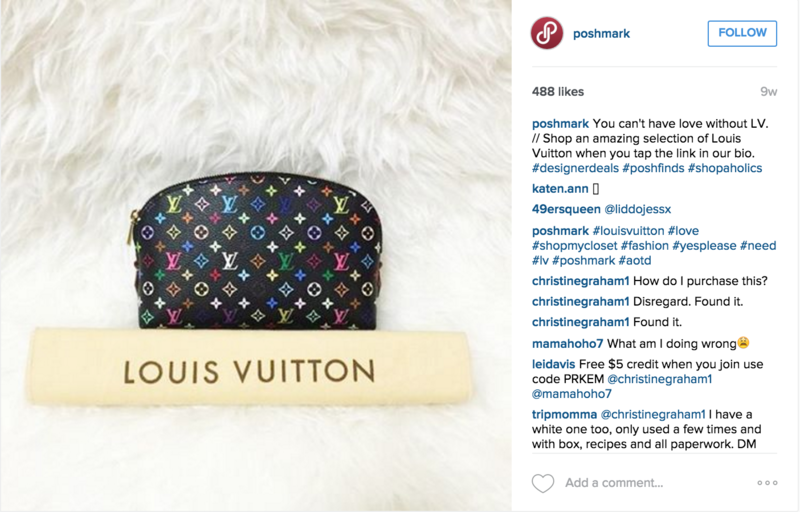 Image Besides marketing on Instagram, Poshmark also invested in Facebook marketing. COMPANY: Burt’s Bees As another lover of colours, Burt’s Bees, a natural homegrown candle and lip balm company, generates a vibrant campaign. The company takes a very creative approach, creating cute, funky crayon drawings coloured with its own line of lip balm/stick colour, which aligns with the interests and tastes of its target audience —American females from 18-24. The main ideas behind #natural and #delightup on these playful crayon photos are to highlight its natural ingredients, and to showcase its wide selection of colours as well as the precision of the lip crayon. 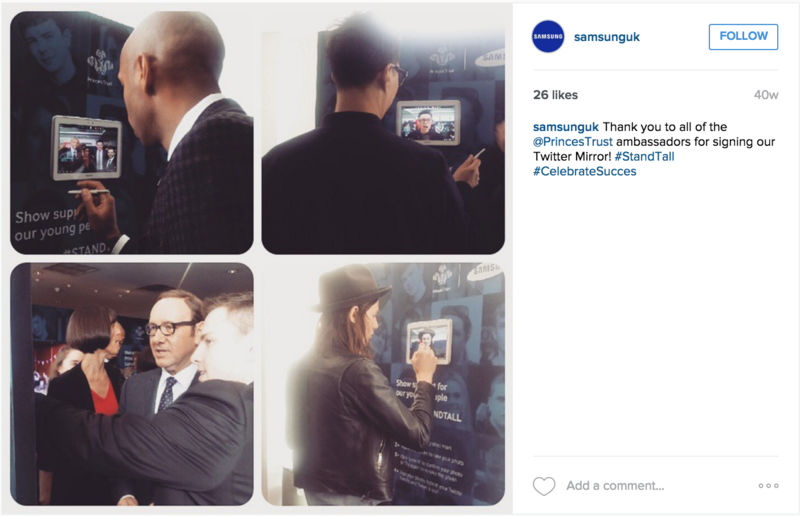 Samsung is already a well-established multinational conglomerate company. 7% engagement rate versus a benchmark of 1.5%. Whether you like it or not, it’s a digital world. It’s amazing news, because now you are able to reach an international audience almost instantly. If you want to engage with more potential customers, especially young consumers, Instagram is a fantastic platform to market your company or products at low costs with high returns.